Invisalign is a global leading brand of clear and nearly invisible aligners to align the teeth, with a bespoke approach to the orthodontic needs of each patient. Invisalign champions high quality service and quick results. Invisalign in Watford is available through a number of approved local dentists. If you’re worried about how you’ll looking during your treatment, but still want to achieve the smile you deserve then virtually invisible clear aligners are the right product for you. Utilising patented SmartTrack material Invisalign aligners are nearly invisible and are hard to detect from just a few feet away. The real benefit of virtually invisible aligners is that they offer peace of mind for self-conscious patients whom want the benefit of braces, without the visibility people associate with the treatment. You should allow for 12 months as an average time to complete an Invisalign treatment. It’s possible to speed up the process with weekly aligner transitions but you should discuss this and all the treatment options with your Invisalign provider who will be best able to determine the treatment duration required to achieve the results you’d like. Invisalign is capable of addressing the most tooth alignment problems effectively and swiftly - it can address teeth spacing issues such as the gap between the front teeth as well as tooth alignment and any bite issues. Invisalign treatments are ideal for all but the most complex of presented cases. Invisalign treatment is affordable, with many providers offering financing options for the treatment. It tends to be priced similarly to fixed braces treatments with costs starting from £1,700 for minor treatment, but with most courses costing between £2,500 and £5,500. We’ve collected the leading Invisalign providers in Watford so you can book an appointment to accurately determine the price of the treatment that's right for you. Watford Orthodontic Practice is a long established Specialist Orthodontic Practice, an accredited Invisalign "Diamond Provider" three years in succession. The Bushey Heath Dental Centre is a modern, well-established practice that offers general and specialist dental care in a friendly and professional environment. At Aqua Dental Clinic we offer modern, innovative dentistry and competitive prices in the heart of North London. 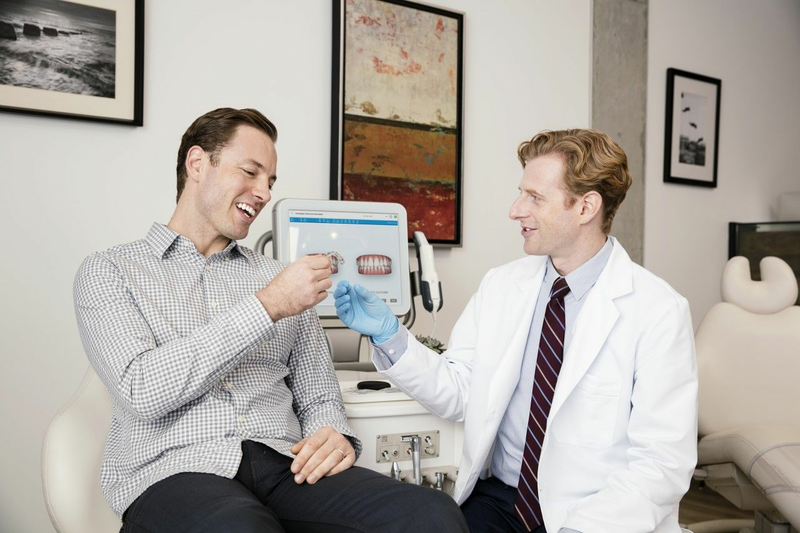 Find out more about Invisalign and why it might be the right choice for you. What are my options when it comes to invisible braces? Not sure Invisalign is right for you? If you're not convinced that Invisalign is right for you then don't fret - Comparethetreatment.com is able to bring together the UKs leading experts to help you find the treatment that fits your problem. So, tell us what's up, or what you'd like to sort out and we'll get you to the experts best placed to help.